Drallim Telecommunications have been supplying dehydrators and condition monitoring systems including Dehydrator Remote Monitor to the telecommunication and broadcast industry for over 40 years. Today’s lifestyle demands good communications and Drallim’s dehydrators along with its condition monitoring equipment are working in the background, helping to optimise network performance around the world. The dehydrator is an essential element in any antenna or pressurised copper cable network system. 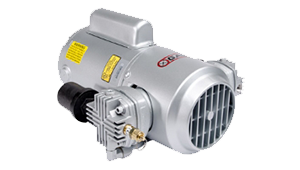 Its purpose is to provide positive pressure dry air to the antenna transmission mast or underground telecommunication cables ensuring no ingress of water or moisture effecting the quality of the signal. 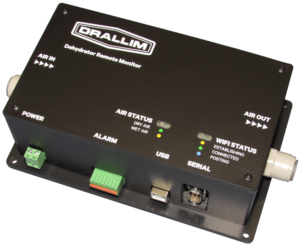 To complement its specialised dehydrator range, Drallim offer condition monitoring of the dry air and the dehydrator which enables the user to remotely monitor the antenna feeder or cable networks pneumatic system. Relying on the dependability of the dehydrator alone is not always adequate when so many other factors can affect the integrity of the overall system. The award winning Dehydrator Remote Monitor unit consists of a combined pressure, temperature, humidity, dewpoint and flow transducer unit which is installed between the dehydrator unit and the dry air supply line to either the antenna or cable system. The alarm outputs from the dehydrator unit can also be connected to the Dehydrator Remote Monitor (DRM) unit for remote monitoring of the unit’s alarm conditions. The DRM unit is then connected by WiFi to the local broadband router and via broadband to a remote server with internet access. 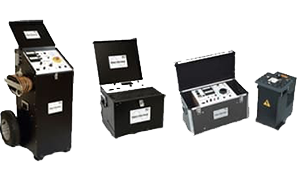 The built-in instrumentation can provide continuous performance trend statistics with trend alarms which offer immediate fault detection and predictive indicators which can be used to minimise costs, avoid catastrophic failures and plan scheduled maintenance.